Awning windows are hinged at the top and open at the bottom and swing outward to allow ventilation. Awning windows are a great option in rooms with little space. They can also be opened in the rain without letting water inside. If you're window is hard to reach, like over a kitchen sink, Energy Swing Windows can replace your current unit with an awning window for a perfect fit! Call us at 1-844-385-9318 or click below to get your free estimate on replacement window installation. 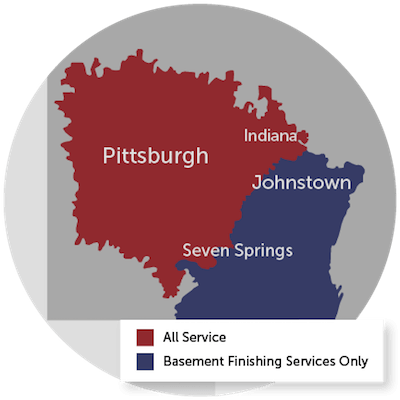 We provide all our services in Bethel Park, Monroeville, West Mifflin and throughout the surrounding areas. We install replacement windows in a variety of styles and colors to compliment the style of your home. The products we use are designed and manufactured to last under even the toughest conditions. If you're looking for new windows to improve your home's comfort and visual appeal, you've come to the right place! Contact us today to get started on your replacement window installation. We offer you free estimates on all our work in Bethel Park, Monroeville, West Mifflin, McKeesport, Irwin, New Kensington, Greensburg, Export, Trafford, Coraopolis, Latrobe, Bethel Park, Canonsburg and throughout the surrounding areas.